Neal Barrett, Jr. (1929-2014) began publishing science fiction in 1960 with “To Tell the Truth” in Galaxy. He continued to publish short fiction throughout his career, but most of his work was at the novel length, with early works such as Kelwin or The Leaves of Time giving way to more complexly created worlds and narratives in the late 70s with his Aldair sequence and Through Darkest America. In addition to his science fiction, Barrett published a lot of work for hire, including volumes in the Hardy Boys and Tom Swift series, often under pseudonyms and house names. During his later career, Barrett focused on crime thrillers, although the still managed to publish science fiction. 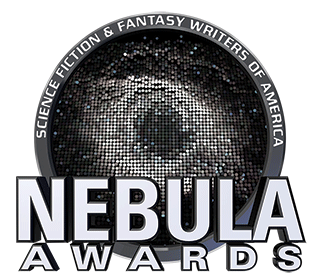 Barrett received a Nebula nomination in 1988 for his novelette “Ginny Sweethips’ Flying Circus.” Barrett served as Toastmaster at LoneStarCon 2 in 1997 and was named Author Emeritus by SFWA in 2009.